Each new Isuzu D-MAX or MU-X now comes with the ultimate in vehicle support: 5 years Isuzu UTE Roadside Assistance. We know that trouble can come at anytime, anywhere, for any reason, but we don’t believe you should have to deal with it on your own. As the owner or driver of a new Isuzu D-MAX & MU-X we now automatically provide you with 24 hour, 365 days a year, nationwide roadside and personal assistance for 5 years. As part of a national network of suppliers with over 2,800 patrols and towing vehicles Australia-wide, we will provide you with the help you need, when you need it most. 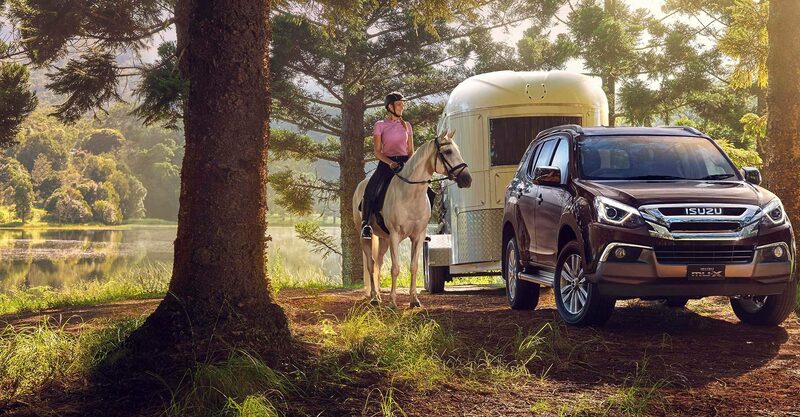 #For full details of benefits and conditions please refer to the Isuzu UTE Roadside Assistance Terms & Conditions. ^5 years/130,000km whichever occurs first, for eligible customers. Excludes trays and accessories. >The Capped Price Servicing Program (“CPS Program”) applies to Eligible Vehicles with a Warranty Start Date on or after 1/1/15 at Participating Isuzu UTE Dealers only. The 5 years Capped Price Servicing covers the first 5 Scheduled Services for 18MY and later vehicle models for up to 5 years/75,000km (whichever occurs first) and for 16.5MY and 17MY for up to 5 years/50,000km (whichever occurs first). CPS Program is subject to change. For full terms & conditions and current pricing click here.